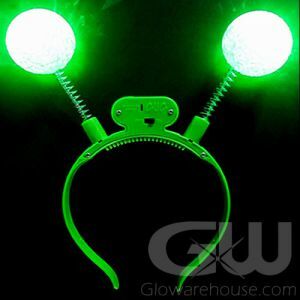 - Glow in the Dark Shark Fin Headband! 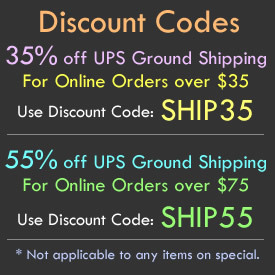 - Six Color and Light Modes! - Jimmy Buffett Concerts! Festivals! Dances! It's time to get your fins to the left and your fins to the right! 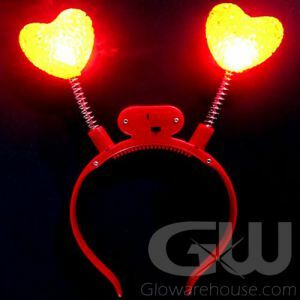 Glowing LED Shark Fins are fun light up headbands with multi color LED lights! 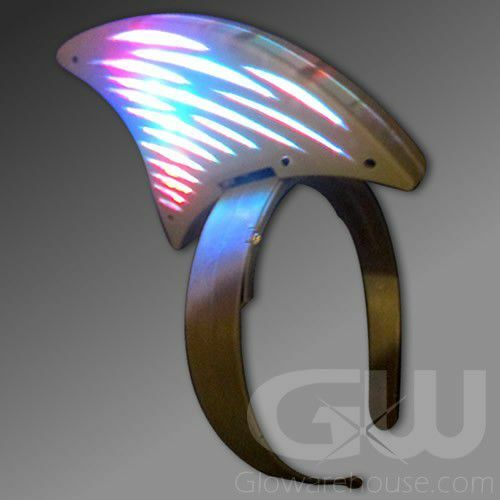 Each Shark Fin Headband has six different light modes that control the color and lighting effect of the headband. 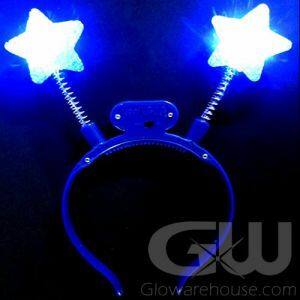 Light Up LED Shark Fin Deely Boppers come with three pieces of AG13 batteries that are already installed and are replaceable. 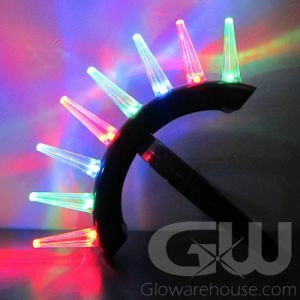 Brighten up your shark or ocean theme party with the fun Glowing Shark Fins! 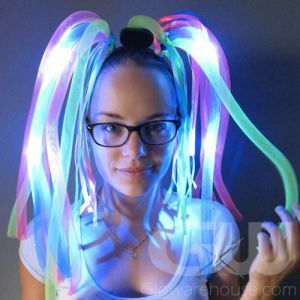 Perfect for wasting away in Margaritaville, Spring Break parties, festivals, dances and glowing birthday parties! Pull down on the headband and then twist the fin into place. 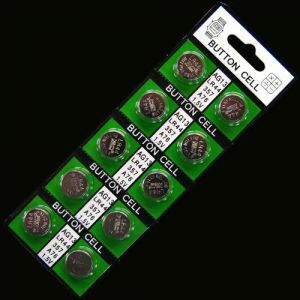 Remove the battery protector tab and then press the small black button (on the bottom of the fin, towards the middle) to cycle through all the different color modes.